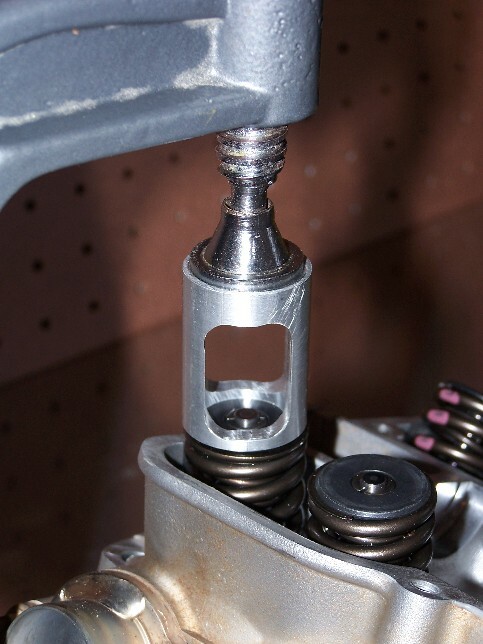 PMXTEC's Valve Spring Compression Tool is used to easily remove and install the valves from your cylinder head without requiring an expensive tool with a built in clamp. Our tool is designed to be used by hand or with just about any C-Clamp found in most people's tool sets. Simply compress the valve spring by hand and remove the valve spring retainer clips. If your springs are too stiff for the manual method just adapt the tool and the supplied magnet to your C-Clamp, compress the valve spring, and remove or install the retainers. It's that easy! Click here for a video showing valve spring removal/installation by hand on CRF250. For compete instructions see "Valve Spring Compression Tool Instructions". Fits most current off road 4-Strokes including: 2005 and newer KTM SX/EXC/MXC, Yamaha YZ/WR, Honda CRF/CRFX/XR, Kawasaki KX, and Suzuki RM-Z. 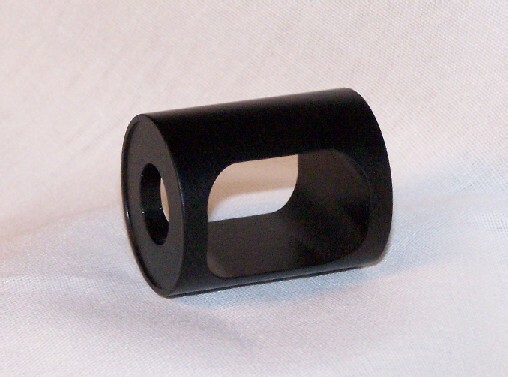 If you are buying it for your KTM, check out the KTM Valve Guide Wear Gauge also. * Will fit any valve with a retainer smaller than 1" in diameter and valve clips/valve stem that will fit through a 0.5" hole. Valve springs must not be located inside of a counterbore (this is rare). Need it quicker? International Shipping? See our Shipping page to learn how.